At UQ you’re not only part of the University community, but you're also a member of our wider local, national and international networks. We encourage you to participate in life on campus, and to build your support and future professional connections. 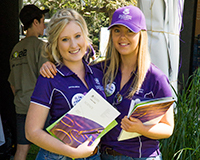 Our School societies offer you the chance to mix with peers who share your passion for your study discipline, and you'll find countless ways to connect with social and sporting clubs through the UQ Union and UQ Sport. 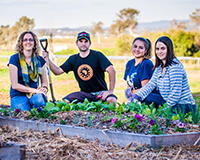 The Community Garden is a space for students and staff to grow their own plants, mingle or study quietly in the peaceful outdoors. You can hire garden plots for $5. Throughout the semester members get together for tea and coffee, barbecues and garden-related activities such as pumpkin-growing competitions and best plot events. 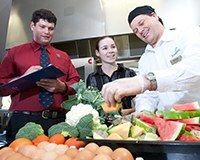 We support all Agribusiness students and aim to provide a platform for student and industry engagement. Our yearly calendar of events includes barbecues and industry sponsor nights, and culminates in our end-of-year Ag Industry Dinner, where students and industry leaders get together to network and socialise. We can help with queries about your program, classes, contact points and opportunities. We welcome all students with an interest in plant science. We aim to provide opportunities to meet and network with industry and potential employers. 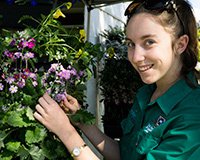 Whether your interest is in agricultural science, agribusiness, agronomy, horticulture or plant science, you'll find like-minded students in this group who'll support and help you through your studies. 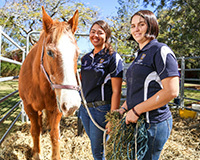 We aim to re-establish the proud equestrian history across all UQ campuses. UQ had successful and competitive polocrosse and stock horse showing teams powered by UQ Gatton campus-bred horses, and today we strive to cater for all levels and disciplines to compete with the best in the sport, with the guidance of professionally qualified EA coaches on the UQ Gatton campus facilities. We aim to bring together students studying Wildlife Science and those who have an interest in contributing to the wildlife industry. Our calendar of events includes fundraisers, barbecues, guest speakers, training courses and games nights. Our events are a great way to meet and connect with fellow students as well as engage with industry. We connect students, alumni and researchers who are interested in food science innovation and technology. 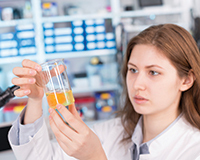 We keep members up to date on the latest research, innovation, opportunities and presentations in the fields of food science, technology, health, nutrition and business. We aim to facilitate networking opportunities for students with industry leaders, career advisors and alumni. We also hold social functions, including food trivia nights, wine-and-cheese tastings, cider-brewing demonstrations and tours of coffee-roasting facilities. We welcome students studying an animal- or agricultural-related discipline with an interest in animal production. 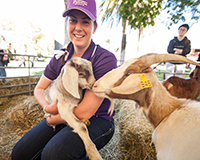 We offer members a range of opportunities related to the animal production industry that will value-add to your academic and social experiences at UQG, including networking events, study groups and access to support networks, tours and short courses. 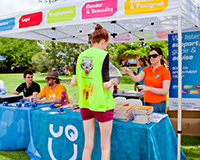 UQ Gatton campus hosts a range of social, sporting, academic and special-interest clubs and societies. The UQ Union (UQU) is an independent organisation. 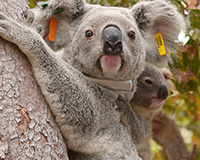 It's the hub of student life at UQ and offers services, support, representation and resources aimed at developing the UQ community and enhancing your educational experiences. From the Harry Potter Alliance to the Hong Kong Student Society, UQ has more than 190 UQU-affiliated clubs and societies, with more than 35,000 student members. 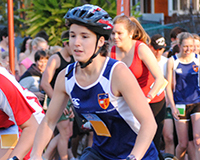 UQ Sport offers a wide range of sport, fitness and recreation opportunities at the St Lucia and Gatton campuses. Facilities and services are open to students, staff, alumni and the public. We're a researcher-focused, non-profit associated body of the UQU and are open to all students and postdocs. We aim to support RHD students through the various stages of their candidature. 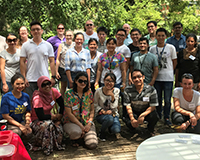 Specifically, we aim to promote agricultural and food science among UQ students; gather to socialise and learn from each other; strengthen the research and social support system for St Lucia research students; and unite all SAFS RHD students across St Lucia and Gatton campuses by sharing common activities with the UQ Agriculture Postgraduate Association.